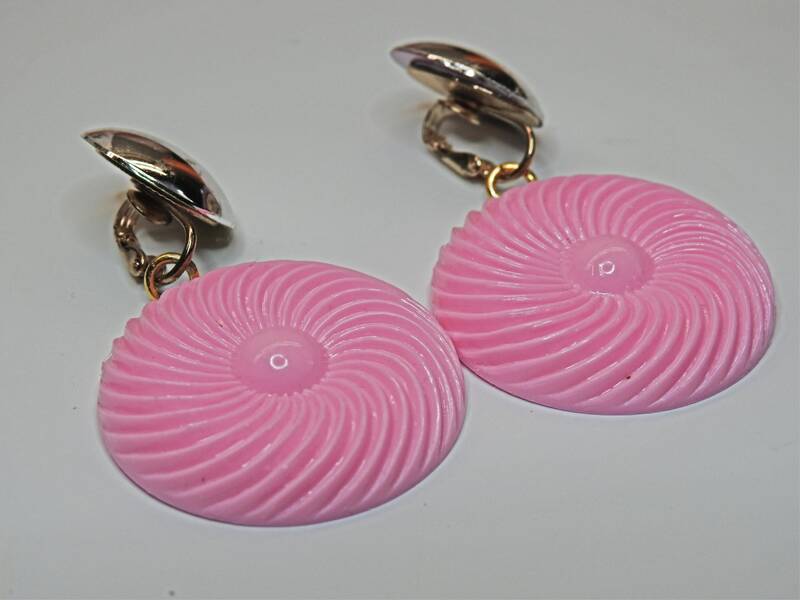 Be ready for your summer with this neon large pink earrings. 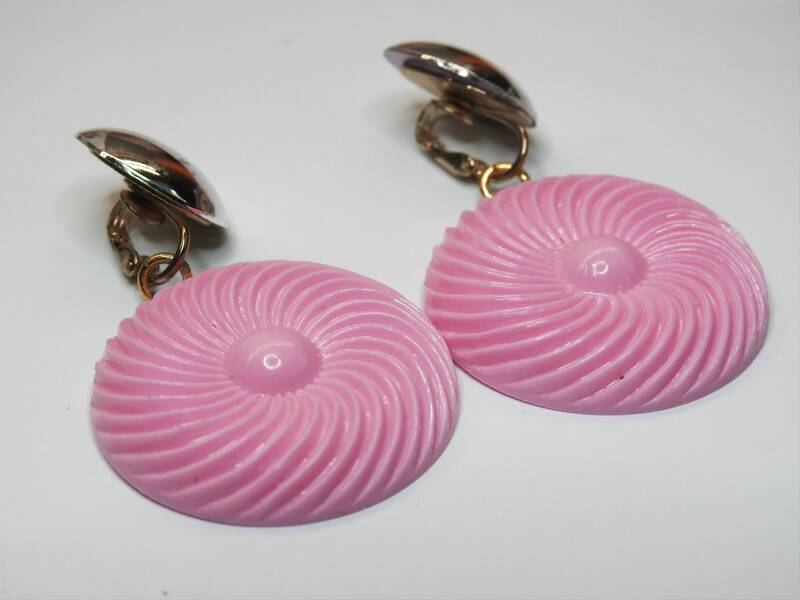 If you are looking for clip on earrings for unpierced ears, you will love these 80s style long dangle clip on earrings! 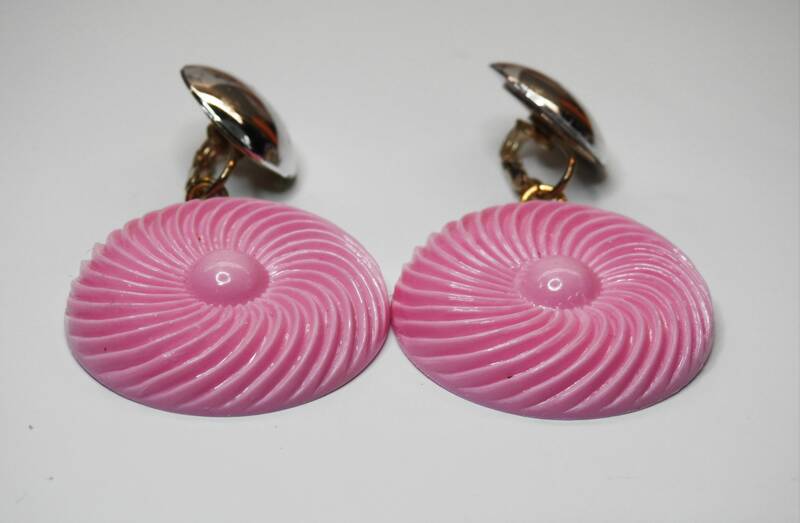 ------ This listing is for one pair of costume jewelry clip on earrings. 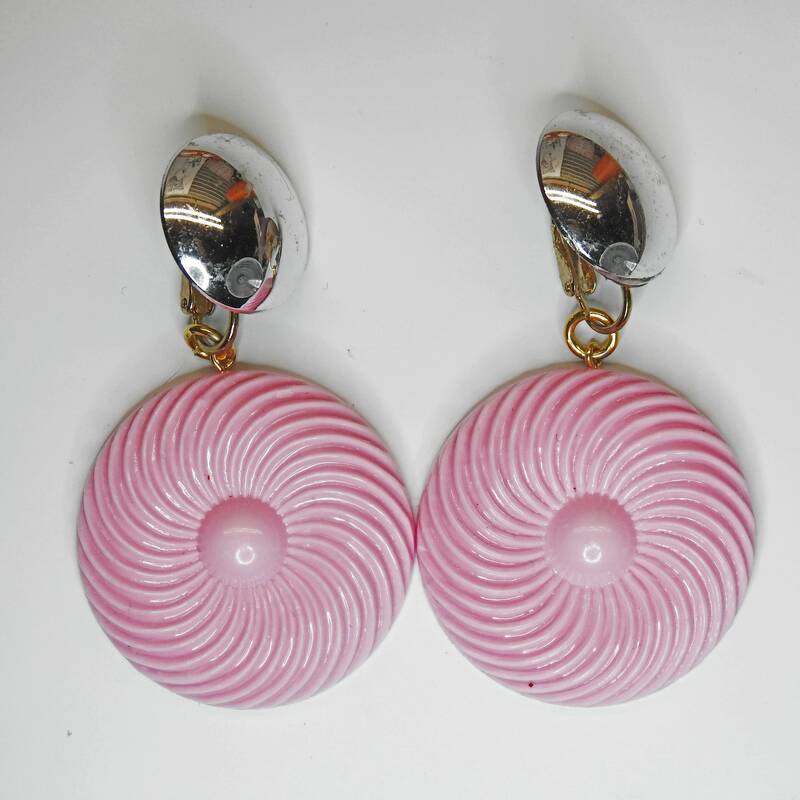 Main colors: neon pink and silver color. Material: vintage style cabochon, small vintage cabs and brass. 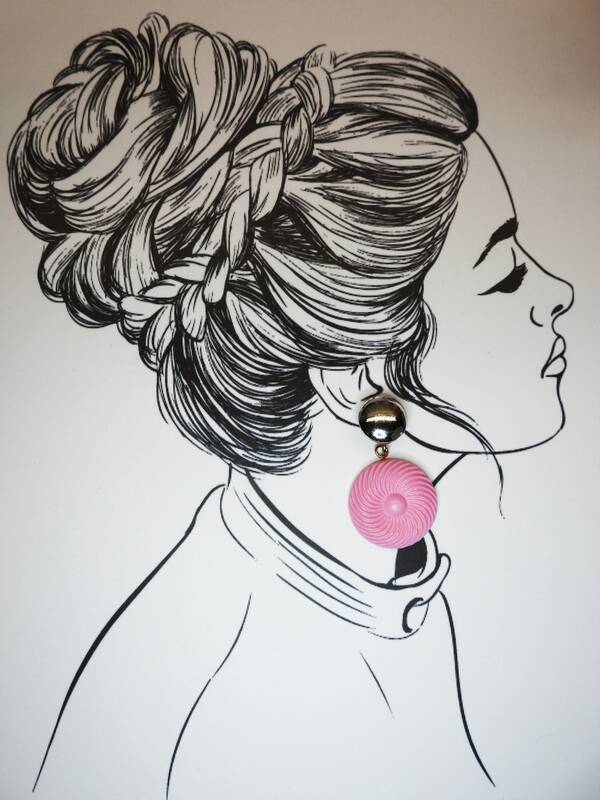 Thank you for exploring these large round clip on earrings!